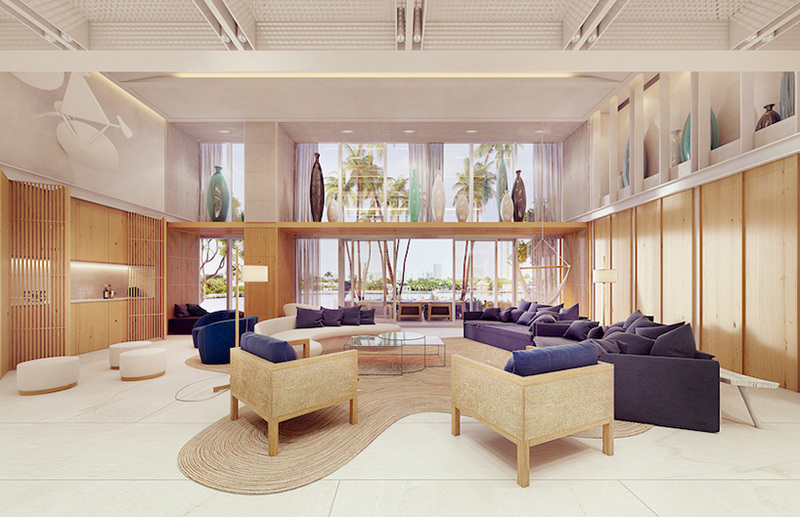 in 2015, italian architect and designer piero lissoni presented plans for his first architectural project in the united states — a seven-acre waterfront development in florida. 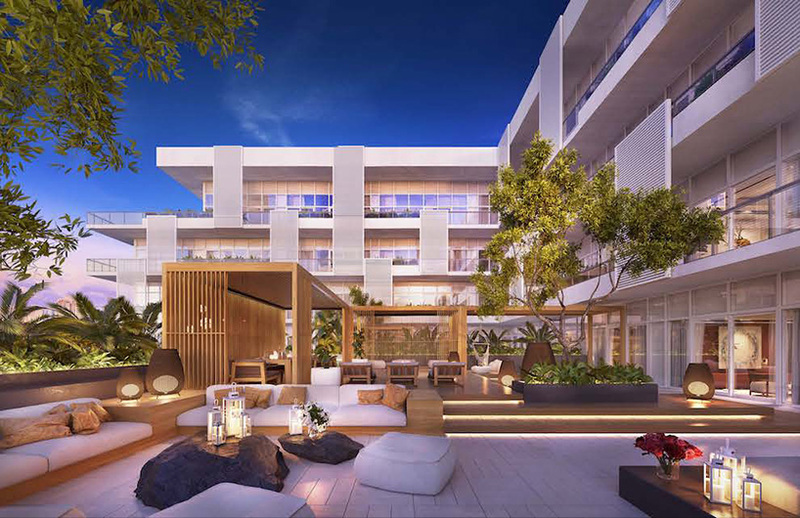 the ‘ritz-carlton residences, miami beach’ feature gardens, pools, entertainment spaces and 36 private boat dockages for 111 condominium residences and a limited collection of 15 lissoni-designed standalone villa residences. 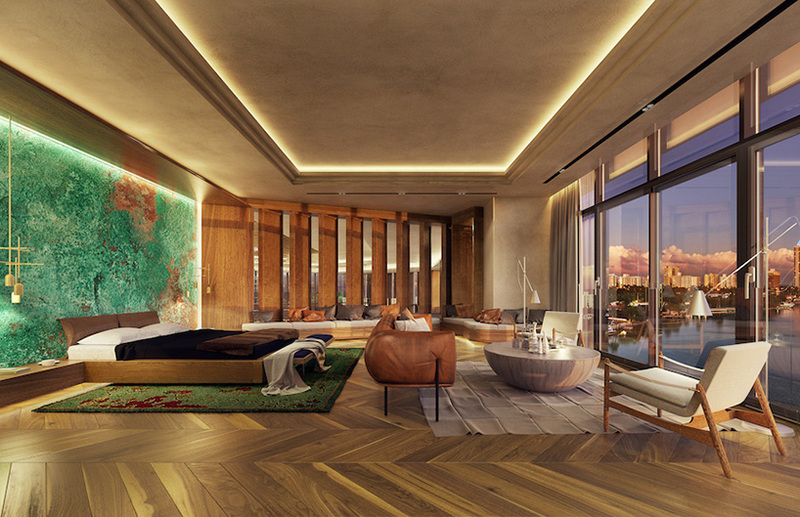 the two-to-five-bedroom homes range in size from 2,000 to over 10,000 square feet, and range in price from $2 million to over $40 million USD. 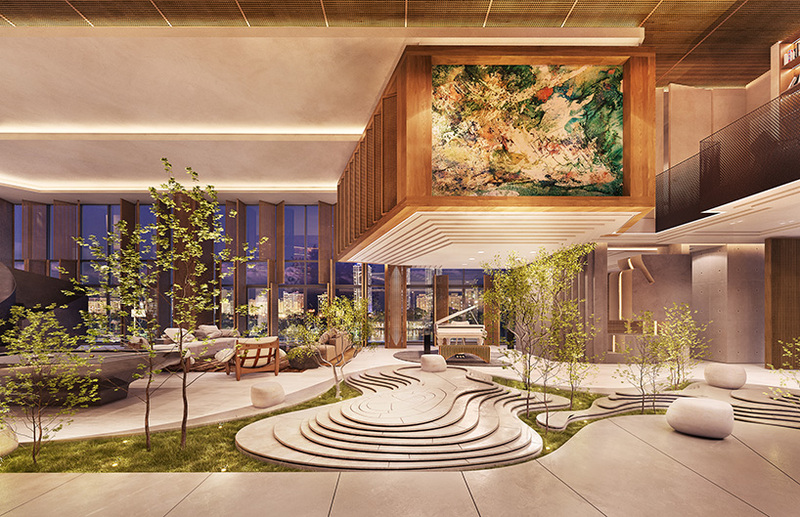 with completion scheduled for later in 2018, a series of new images have been revealed illustrating how the luxurious living spaces can be customized with the help of one of the residences’ local international architecture firms, dooarchitecture led by founder and principal, alexis cogul. 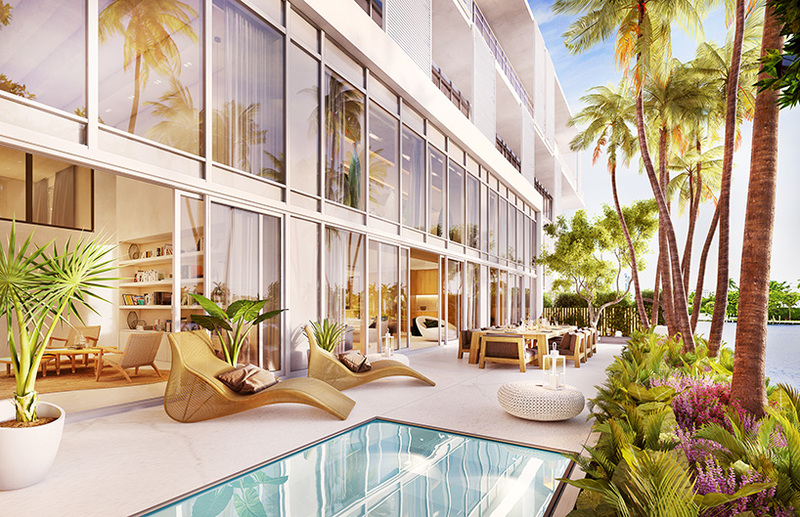 the penthouse collection at the ritz-carlton residences, miami beach ranges from 3, 4, 5 and 8-bedrooms from 4,507 sq. ft to 25,000 sq. 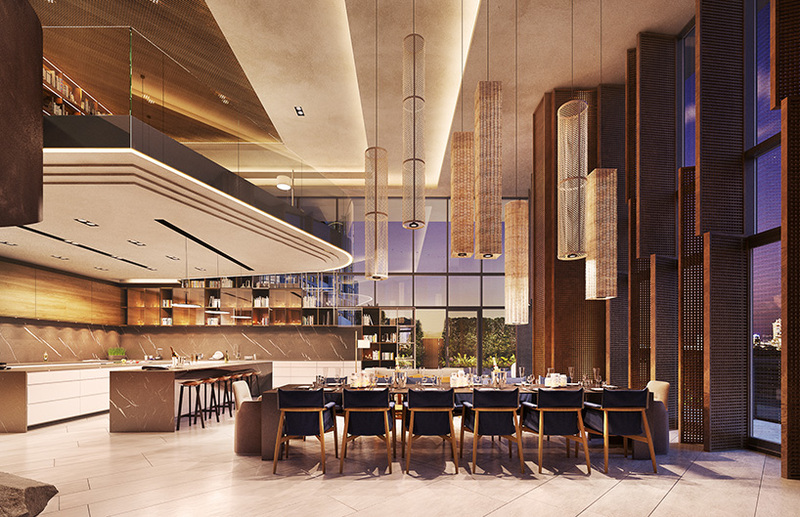 ft. here, residents will not only enjoy elevated privacy and additional living space, but also the development’s services all managed via the ritz-carlton. stone flooring extends throughout all common areas, including the kitchen and bathroom, while wooden flooring is found in the bedrooms. ceiling heights range from 9’8” to 13’6”, while expansive terraces range from 8’ ft. to 33’ in depth. 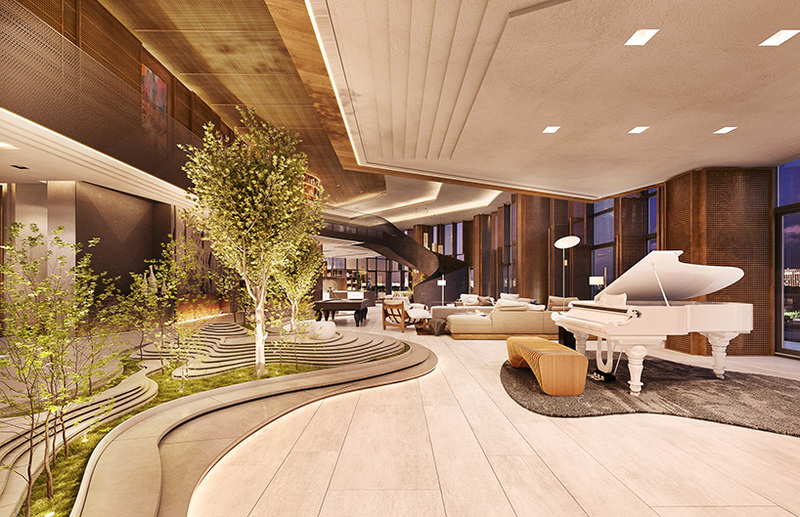 available penthouses can be individually customized, with a range of potential configurations. 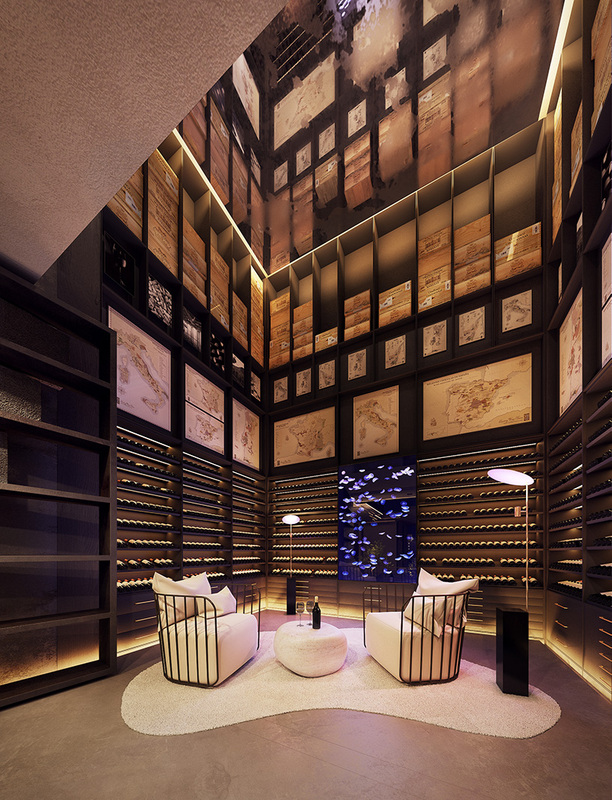 for example, dooarchitecture crafted a bespoke 10,000 square-foot penthouse featuring a unique ‘interior space’ topography and interior garden; a double-height library system that wraps the room; a 20-foot-tall wine cave that features a jellyfish tank and a climate control shelving system for more than 2,000 bottles; a private terrace at first level; a hot tub and sculpture water feature on the ground floor; an interior fire pit; and a rooftop that offers 180-degree views. 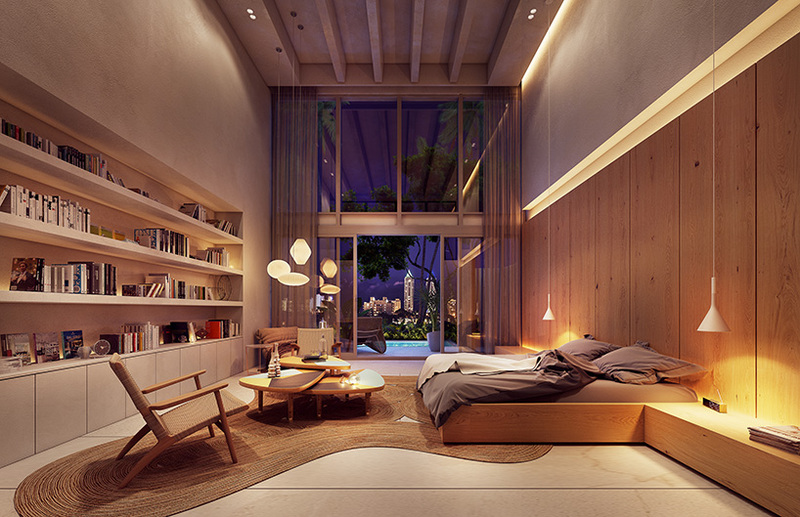 another example of dooarchitecture’s work is the double-height loft at the residences. 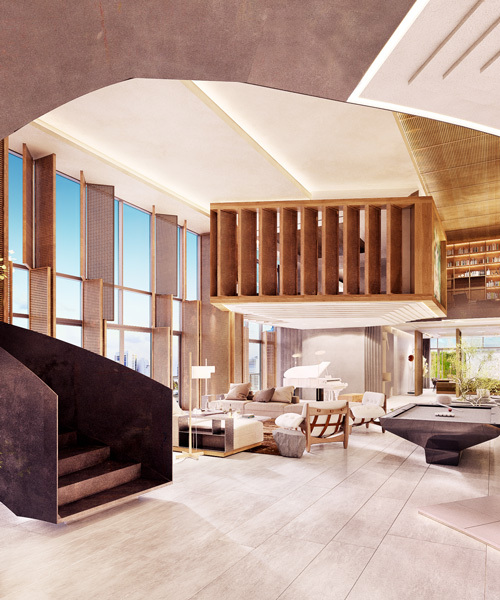 conceived as two distinct planes, the lower area contains the home’s living space, while the upper portion forms a gallery capable of housing an impressive art collection that can be enjoyed from anywhere in the home. 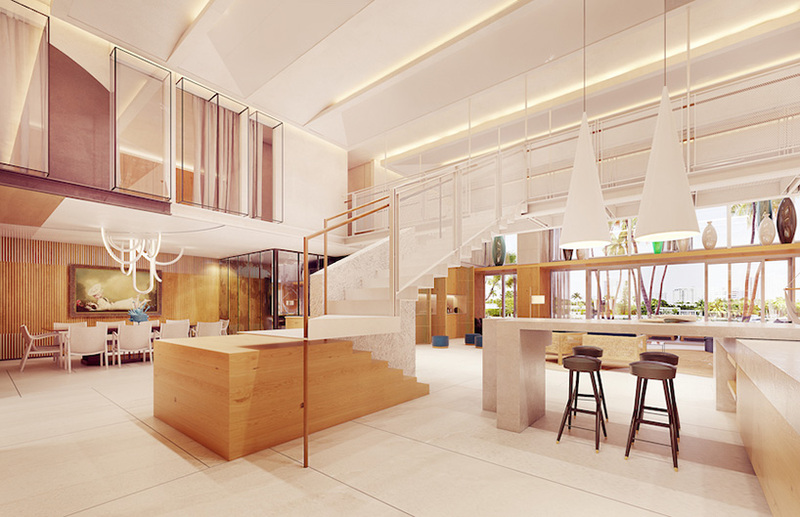 the residence, which can be completely customized, features a dining area with a table for ten people, a dedicated DJ booth with built in speakers and sound system table, and a separate bar area. see designboom’s previous coverage of the project here.